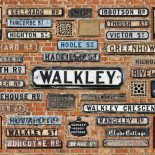 News, events and discoveries of the Walkley Ways, Walkley Wars history project. Here are the biographies of the nine men of Walkley Reform Club who fought and died in the First World War. The first thirty minutes of Simon Heywood’s telling of the nine men of Walkley Reform Club who died fighting during the First World War.